Liver, one of the hard working organ of the human system. It works unflaggingly to digest body supplements like fat, proteins, regulates hormones, maintains blood composition and stores essential vitamins and minerals in the body. It helps to detoxify blood from harmful and extra substances. That is the reason, liver should be kept clear and disease free. Otherwise, problem occurs in fat breakdown, hormones irregularities and blood gets toxic. One of the common problem of liver is Fatty Liver. Fatty Liver is a condition where there is accumulation of excess of fat in the liver. The liver starts to fill with fat in the cells and spaces between the tissues that makes liver bulkier and heavier. Fat cells saturate the healthy and good liver, making it bloated and enlarged and can cause pain. There are mainly two types of this fatty liver disease depending upon its causes. Non-alcoholic fatty liver - It arises when body is not breaking fat properly due to various related diseases. 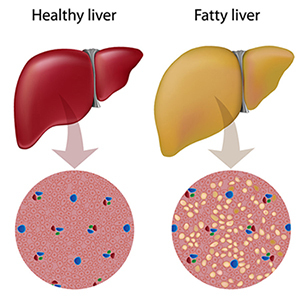 Alcoholic fatty liver - Heavy alcohol consumption impairs body metabolic functions and cause alcoholic fatty liver. It is quite widespread in the Amazon and other wet rain forests, growing freely. Bhumi Amla has properties to clear pitta and provides benefits in digestive disorders like hyperacidity, inflammation and dysentery. The roots of bhumi amla are an excellent remedy for the treatment of liver diseases. 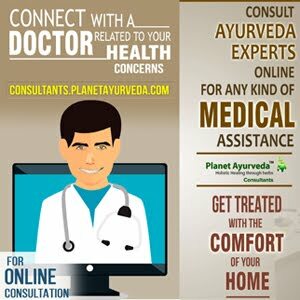 Bhumi amla is used as Anti-Diabetic also. To get cured from fatty liver one should use 2-3grams of bhumi amla for few days. Take 10 to 20 ml of Bhumi amla juice that is helpful for the treatment of fatty liver. It is a rare herb only found in himalayan region. Its root has been used to treat liver disorders like fatty liver. 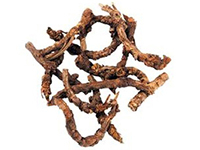 Root taste feels bitter but has cooling, laxative, digestive, liver protective, anti- viral and anti-inflammatory properties. This can be taken in powder form. For adults, range is up to 1 to 3gms and for children it is 500mg to 1gm. It should be taken twice a day with water, after meals. 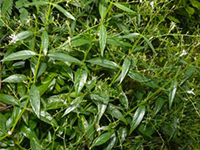 The herb found in western Himalayas at a height of 3000-5000 meters. It is a great herb for liver ailments. This shows direct pharmacological action on the liver functioning. It helps to regulate the formation and elimination of bile from the liver and gall bladder. This herb can be taken in the form of tea. 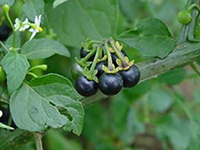 It is known as black nightshade and wonder cherry. It grows annually in waste lands all across the India. It has liver protective properties, helps in reducing alkaline phosphatase and in curing fatty liver. Make vegetable of makoy and eat regularly for about 10 to 15 days. Drink 150 to 160 ml makoy juice to cure the problem of enlarged liver. 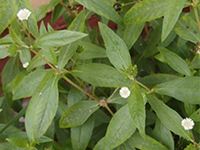 This plant is also used to cure hepatic problems as fatty liver. It grows in warm temperature and tropical areas all around the world. It is found throughout India, Nepal, China and Brazil. Steam the fine cut leaves and boil. Eat it as it is. This can be used as a substitute of spinach. 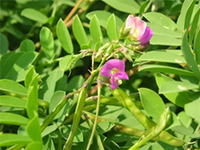 It has great pharmacological properties as anti- oxidant and hepato-protective. The herb is also used to control diabetes. Its juice can be taken as liver tonic, helps in removing toxins and inflammation from the liver. This herb can also be consumed as a vegetable. It is perennial herb. 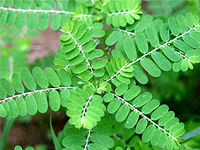 It is a medicinal plant as its roots and leaves contain diuretic, laxative and detoxifying properties. 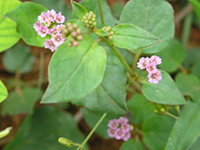 It is used to treat liver, kidney and bile disorders. It is helpful in fatty liver disease. A glass of kasni juice every morning is good for the liver. 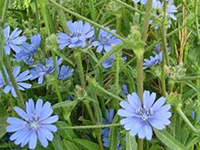 This herb is considered as hepatic, demulcent and cholagogue. It is a kind of weed. Milk thistle is a natural herb containing antioxidant and anti-inflammatory properties, is commonly used to detoxify the body, especially the liver. So help in curing fatty liver. 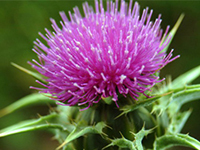 Prepare the tincture of milk thistle by using 20 to 25 drops of oil and water. It is a member of lily family. It has various kind of vitamins and powerful sulfur containing compounds, helps in restoring liver damage and fatty liver as it helps in burning of fat. 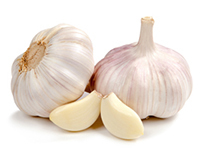 Take 2-3 cloves of garlic in the morning or cut its pieces and add in cooking. It is hepato-protective and prevents damage to the liver. Its leaf juice can be taken in a dose of 15-30 ml. Its powder can be taken in a dosage of 3-6 gms. for management of fatty liver.